The mobage Cinderella Girls will give out 50 jewels for its latest campaign, along with new Puchiderella outfits to celebrate U149. For Cinderella Girls Starlight Stage, the Hi-Fi☆Days outfit: Marching☆Memories will be released soon! They’re also doing another Lawson campaign with Chieri, Yuko and Nao as the featured idols! The campaign will start on 1 August 2017, and similar to before there is a special event lottery that you can participate in after buying Asahi beverages! SideM Live On Stage added another step in their preregistration campaign, with 315k preregistrations unlocking the Starlight Celebrate MV along with 450 MStar! 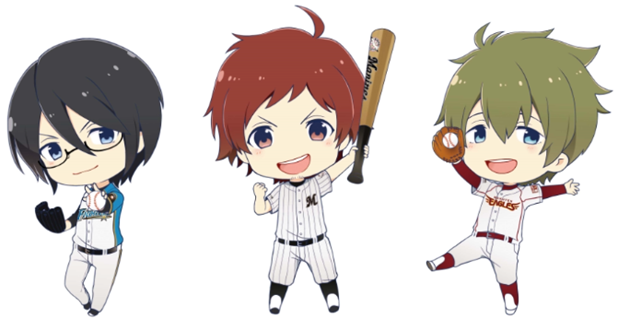 Character art for the baseball collab was also shown! Special tickets featuring either 765 Pro, 315 Pro or 346 Pro will also be available for the 315 PRODUCTION DAY that will be held on 3 September 2017. The ticket comes with a special sticker featuring Teru and Marines Zeus! The next Side Animation nama is slated for 22 August 2017, and it will feature Nakamura Shugo, Uchida Yuuma, Yamaya Yoshitaka, Kikuchi Takeru, Kanbara Daichi and Yoshitsugu Matsuoka. Ticket preorders will open from 29 July at 12:00 JST at eplus. Both seasons of Puchimas!! 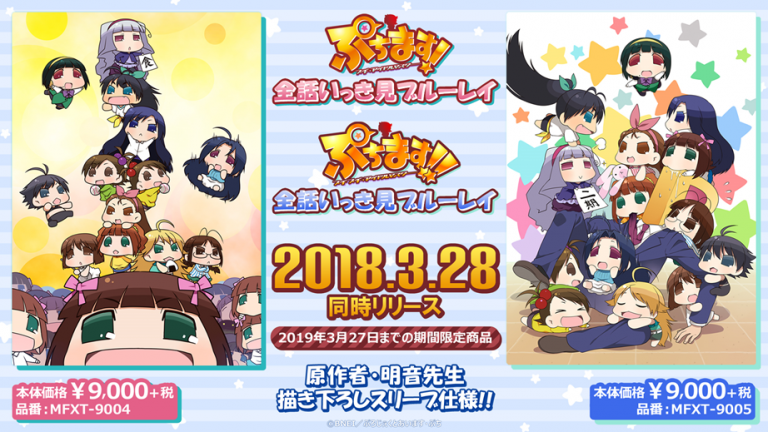 are getting BD released on 28 March 2018! Each disc will contain 1 whole season! The first Master Primal song preview: BRAVE STAR is up on Youtube! The CD comes out on 22 August, and it contains lottery code for THE IDOLM@STER 765 MILLIONSTARS HOTCHPOTCH FESTIV@L! tickets! President Takagi also announced a new plan for the event in a special PV, but details will be announced later! 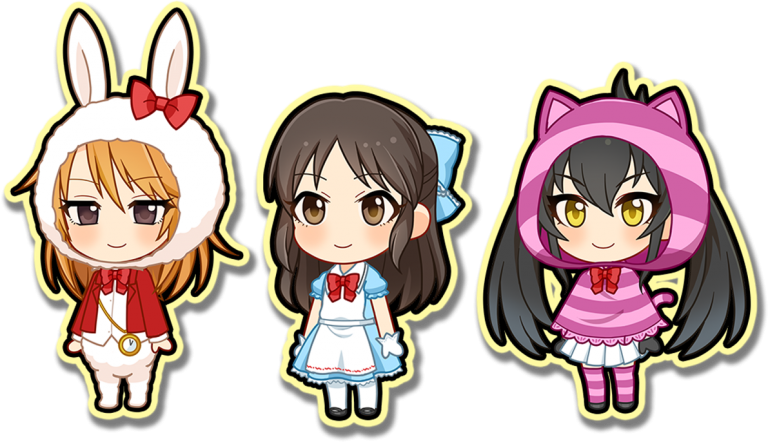 Theater Days will be doing a guessing campaign for the new song and commu that will be added in August! Follow their twitter account for more details. Additionally, they will be giving out 765 jewels for people who log in until 21:59 JST on 28 July 2017! The jewels will be given out from 28 July 22:00 JST until 27 July 2018 at 23:59 JST, so do log in to get this bonus! 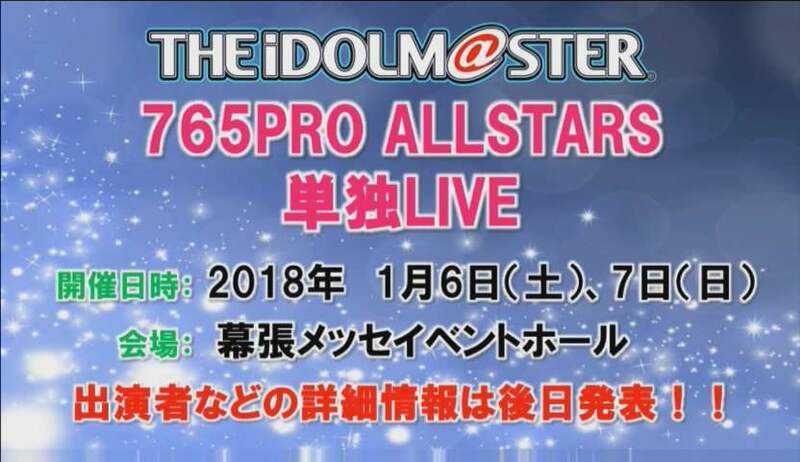 Last but not least, 765 Pro is getting a solo live next year at Makuhari Messe Event hall on 6 & 7 January 2018! Details will be announced later, and we’ll keep you posted! Previous PostTHE IDOLM@STER SideM 3rd Anniversary ST@RTING SIGNAL!!! 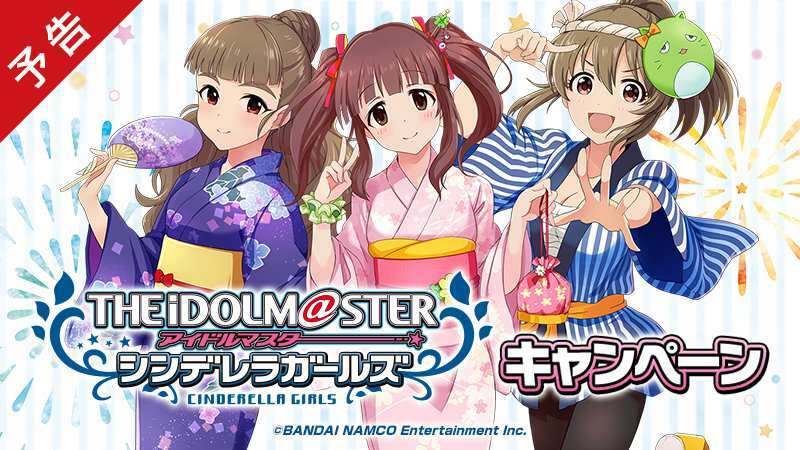 2017 announcements!Next PostThe IDOLM@STER that went beyond the creator’s imagination: GamiP Interview Translation!